People tend to look for something that feels like home during winter holiday season. 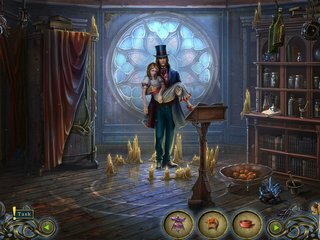 And a new addition to the Dark Tales series could do the trick for the fans of the hidden object puzzle adventure games. The series that has been around for so long, the characters that come from even older literature classics - what not to love about Dark Tales: Edgar Allan Poe's Morella Collector's Edition? This super dark and mysterious story about this house and its history is fertile ground for some impressive sounds and voice-overs. What do you do when even police of your town would not dare to investigate a case that has a long history of dark and frightening legends? You call Dupin for help! He comes with another detective, you, and dives right into the middle of what everyone is so scared of. This time you are going to investigate a missing family. They seem to have gone missing in their own house. But nobody dares to step into it because the locals believe all kinds of creepy legends about it. It is known as the Devourer of Souls which sounds like an accurate description of what happened with the missing family. This super dark and mysterious story about this house and its history is fertile ground for some impressive sounds and voice-overs. Some of the screams are pretty spine-chilling. The graphics are good, too. Not a whole lot of blue and purple. The game has more than just a great audio-visual presentation. 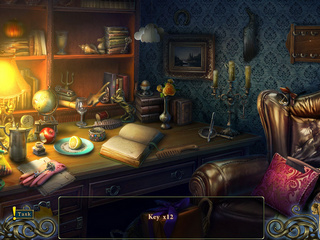 You get to play a lot of hidden object scenes that are mostly interactive and quite challenging at times even when it is just a list of items to find. 15 of them a replayable. There is a good variety of mini-games: the old, the new, and the well-forgotten ones. The game comes in a collector's edition format with all the typical bells and whistles you would normally expect. There is a bonus chapter to learn a bit more about the past events. You need to collect 60 fortune cookies that have jigsaw puzzle pieces. When you have all of them you get to put together the puzzle. You can earn 15 achievements, enjoy all the media extras (concept art, music, videos, wallpapers), and use the strategy guide and a map as you play. 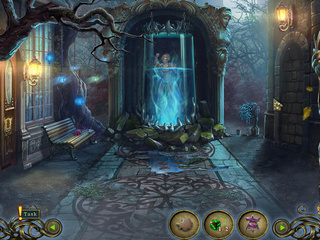 It is a fun dark game from the hidden object puzzle adventure genre that is worth checking out! 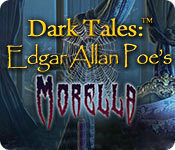 This is Dark Tales: Edgar Allan Poe's Morella review. Download this game here.